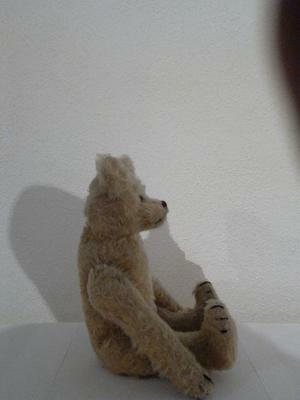 Can You Identify This Old Teddybear? 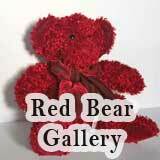 i have this old teddybear pictured here i got from an old neighbour once. 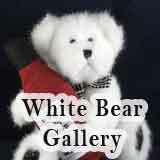 I am looking to find information on the bear. As I am from Germany it would be likely that it is by German manufacturer. 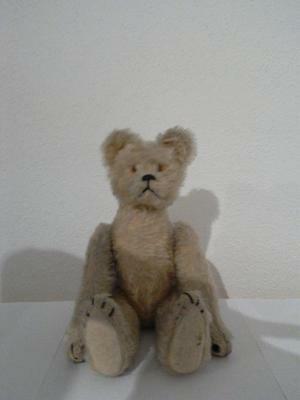 The original owner was in her late eighties in the 1980s and told me she had had the bear as a child, so it ist probably from the time of 1900 to 1910. As a special feature it has a mechanic that will make it somersault when you turn its right arm counter-clockwise. The paws have 3 stitched claws (front) and 5 stitched claws (back). The fur is a light yellowish beige, though it might have bleached with time. 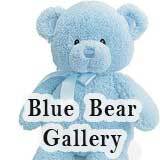 The bear does not have a mark from the manufacturer such as a button etc. though i'm not sure if there could have been one on the ears that was lost. From the information i gathered from various sources on the internet it seems Steiff and Bing were the only German manufacturers at the time to produce mechanical bears like this. 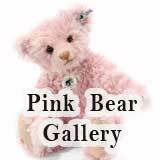 The Bing bear seems to have been produced only for a couple of years (i think 1908-), as Steiff sued them for patent violation. 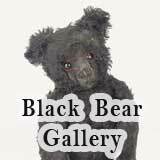 Judging from the descriptions and images i found, the so-called Bing "Acro-Bär" ("acro-bear") seems to be the closest match, although it said somewhere it had hooks on its paws, so you could hang it somewhere, which this bear doesn't have and the paws don't look like something is missing there. 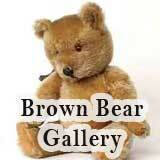 Comments for Can You Identify This Old Teddybear? Thank you. There isn't a mark on the side, though. 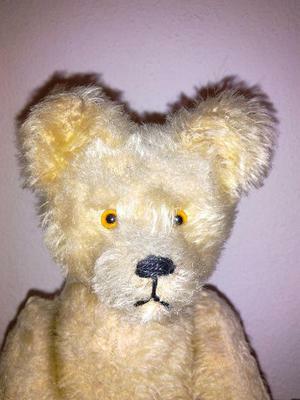 I found that early Bing bears had a mark on one ear, but my doesn't have one. It's hard to tell if there could have been one either on the side or on an ear that got lost. Forgot to mention the size of the teddy bear in the text above: it's ca. 30cm / 12 inches from head to toe.